Hello everyone! If you can take the hot temperatures in the Florida Keys backcountry you will be rewarded with some great catches. The fishing on the Everglades National Park has been phenomenal and as we get off the full moon it will get even better. Mostly every Island flat in the park will have Redfish lurking on it. 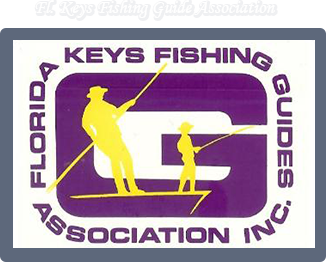 The mainland shoreline from Key Largo to Flamingo has been holding Redfish, Snook, Trout, Jacks and some Tarpon as well. Live baits have been best but plenty of action can be had with artificial's. Flamingo has been typical for this time of the year. Schools of Redfish are patrolling the shallow areas with Snook and Tarpon not far behind. Work with the tides and you will be more successful. If you want something big to tug on your line a dead bait on the bottom around the deeper channels will get your workout going. Look for the mainland shoreline as you head west towards the Cape to be productive as well with a great Snook and Redfish bite. Fish the creeks and shorelines in the east cape canal area for Snooks and Reds with plenty of Sharks and a few Tarpon as well. Anglers fishing the shorelines from Cape Sable north keep encountering a great bite of Snook with Redfish mixed in. Live baits like pilchards and Pinfish will be deadly but Berkley Gulp baits will also get the job done. The Snapper bite has been great while fishing the grassy bottom from Sandy Key all the way to Sprigger Bank around the park boundaries. We have been bouncing white 1/2 oz Pompano jigs on the bottom while drifting for a mixed bag of big Trout, Snappers, Ladyfish, Bluefish and many more. The boats that have been venturing to fish the wrecks in gulf waters are reporting great action with big Sharks, Snappers, Goliath Groupers, Permit and a few Cobia. The Tarpon bite around the local bridges and channels remains best at night drifting live medium size Crabs, dead baits on the bottom or live Mullet or pilchards have been getting there fair number of bites early and later in the daytime hours. The bonefish bite remains best early morning with the cooler water temperature with some Permit around the deeper edges of the flats and banks, concentrate on the deeper edges of the flats and banks where the water temperature will be the lowest. It's very hot out on the water so make sure you reapply Sunblock often and drink lots of fluids to keep hydrated. Good Luck on the water!